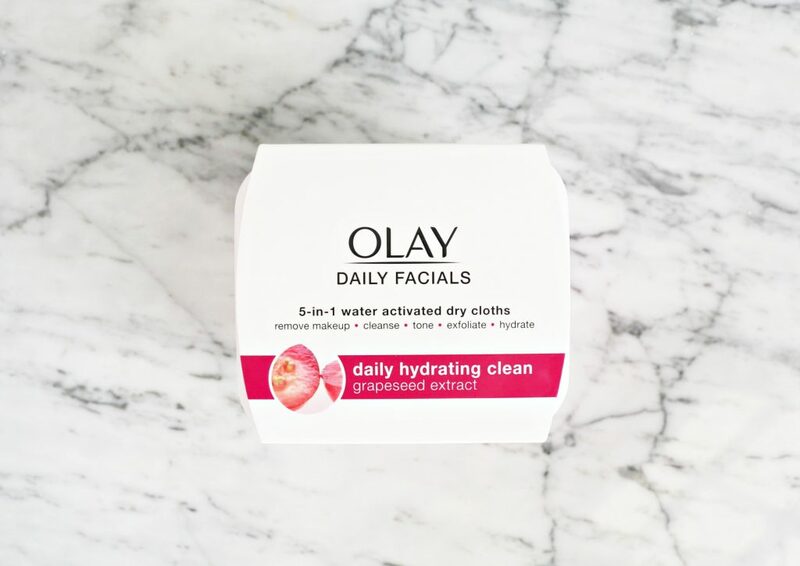 My tried and true Skin Care Routine with Olay. 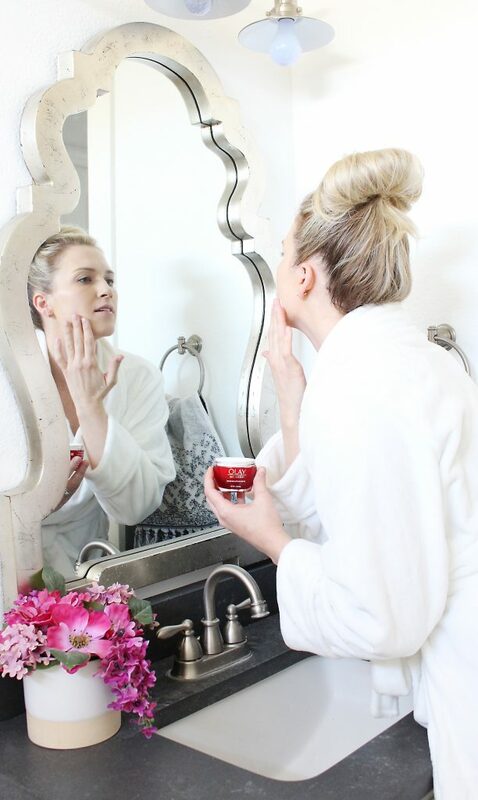 The 3-step Reset has been a game changer for my skin! This post is sponsored by Olay. All opinions and obsessions with these products are my own. Lately I’ve had so many questions about my skin care routine on our Instagram stories. Up until like hit the big 3-0. (I’m 31 now!) I literally used a makeup remover wipe at night and called it a day. I mean, I was lucky to have even washed my makeup off. Bad news bears, right there. I didn’t give much thought to my skin care routine and over the last 2 years, I’ve noticed that I can’t neglect it anymore. I decide that I wanted to find an amazing product line for my skin care routine and boy have I ever found it! 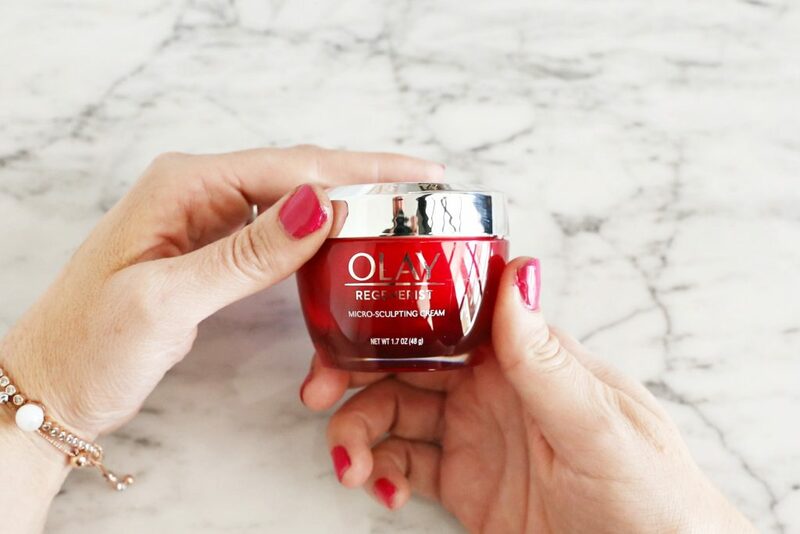 I am in love with the 3-step Reset from Olay! After years of neglect, I definitely became more aware of the fact that I desperately needed to make a change. The 3-step Reset was my answer. 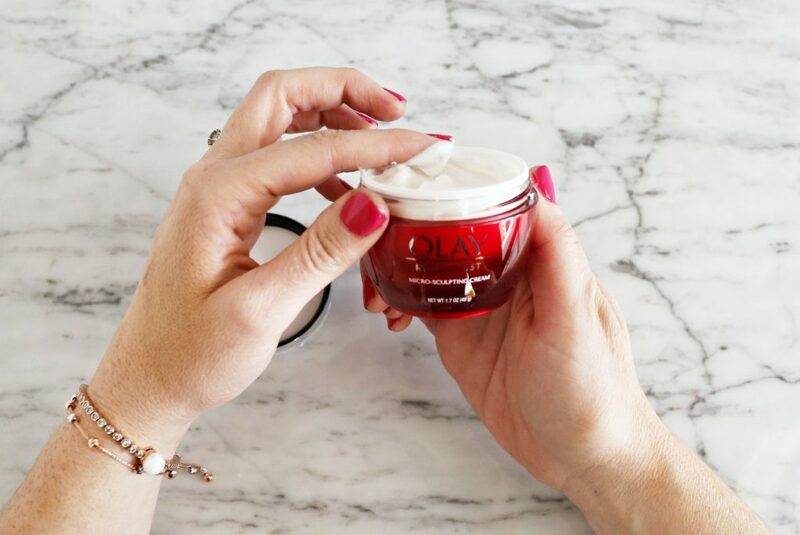 The 3-step Reset includes, Olay Daily Facials, Olay Regenerist Micro-Sculpting Cream, Olay Eyes Ultimate Eye Cream. The system was designed to get your skin back in shape after neglecting it, which I totally had been doing. My goal was to make my skin smoother, softer and help it to not look so dull. 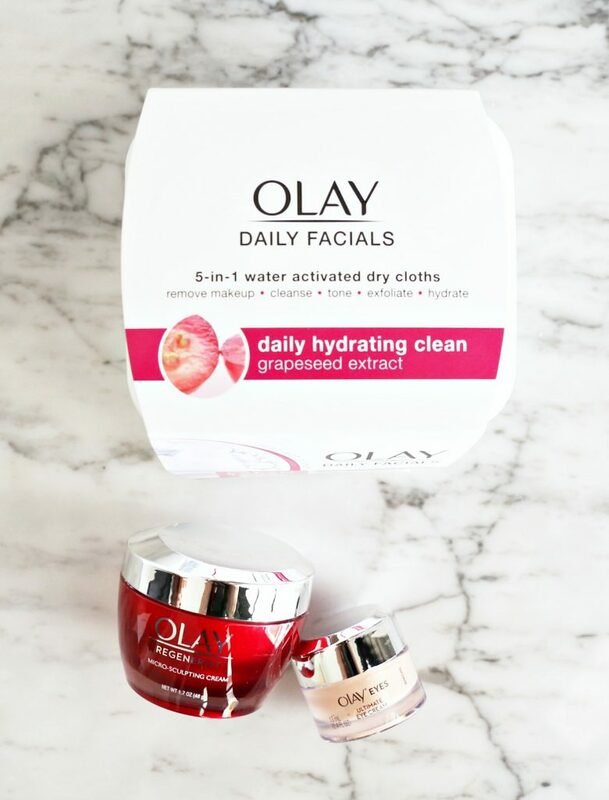 The Olay Daily Facials do a ton of my skincare routine prep work. I use them to remove my makeup and clean my face. I usually do this in the bath. I am obsessed with my nightly baths. I use the warm water to lather up the cleansing cloth and scrub my face clean. It also exfoliates and hydrates your skin! I love them so much. 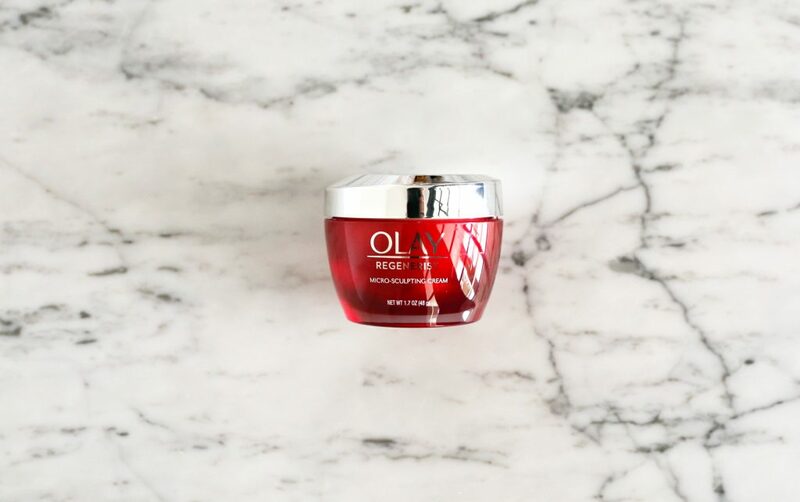 After I get out of the bath, I dry my face and apply the Olay Regenerist Micro-Sculpting Cream. This is where the real moisturizing happens. It is super hydrating and I noticed an immediate difference in my skins softness and smoothness. Is smoothness a word? After using the Olay Regenerist Micro-Sculpting Cream for a week, my skin was completely changed as far as softness goes. I can also tell that the wrinkles around my eyes and mouth are getting softer and softer. Yep, I’m at the age that I definitely need an eye cream. 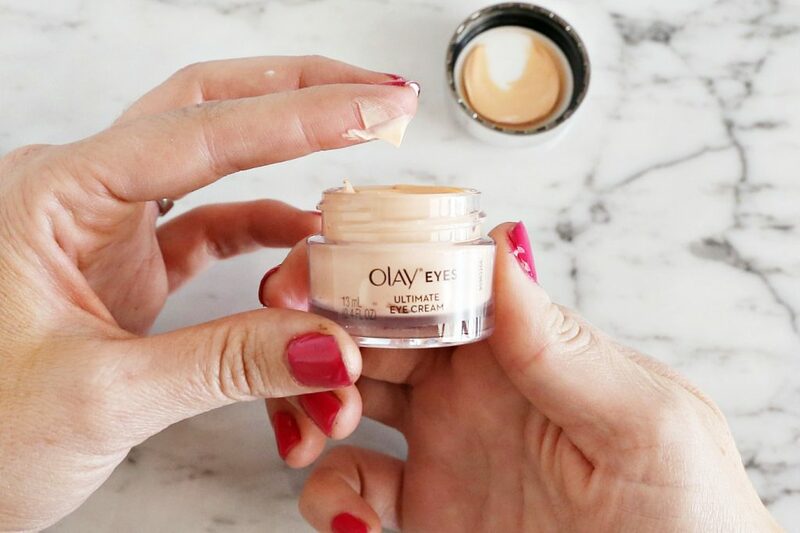 Olay Eyes Ultimate Eye Cream is so. dang. good. I am honestly LOVING it. Adding this eye cream to my skincare routine is definitely contributing to minimizing the appearance of my wrinkles. I have also been able to tell a big difference in the puffiness of my eyes. Remember how I have a newborn baby and goodness knows I’m not getting enough sleep. I like that it’s tinted so it kind of acts as a concealer for dark circles. Yes, please! This eye cream has really been a life saver. 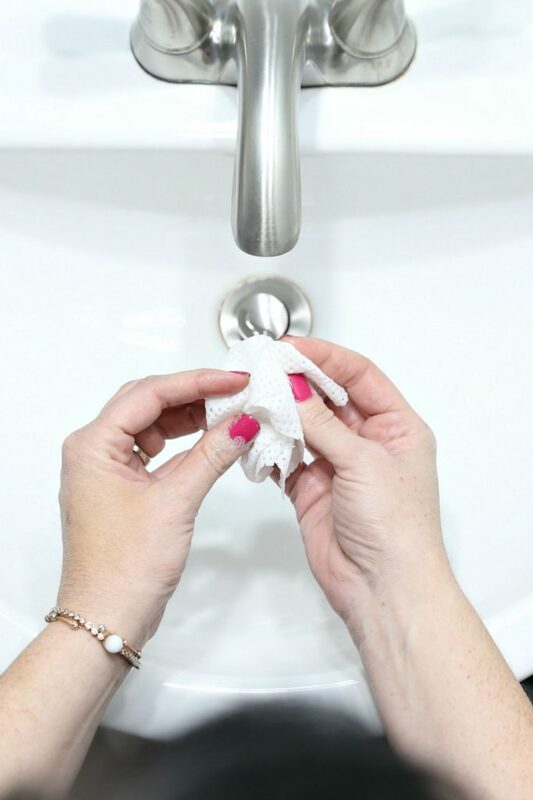 This 3-step reset system has been the perfect way to actually reset my skin and help me develop a daily skin care routine habit. I’ve been doing it consistently and you can really tell. Having only 3 steps makes it easy to do and not overwhelming to use. It’s also totally affordable for any budget. It’s so hard to find a skin care system that is both affordable but also works great! You guys know we wouldn’t suggest a product that costs an arm and a leg and Olay’s 3-Step Reset is really awesome! Love this tutorial! Thanks for the info… I will try it.